Credit cards make it easy to get access to money, but at a price. Their allure becomes high when traditional lenders won’t talk to you about getting a small business loan. Maybe you don’t have good credit, or maybe it’s because you don’t have much of a business history. Either way, you want to get your business going, and you need money. You then turn to credit cards because they’re easy to take money from. The problem is they’re not as good of a deal as they seem to be. Don’t fall into this trap, especially if your business is up and running and already making sales; think about a high-risk merchant account instead. Credit cards let users take out cash against their line of credit. 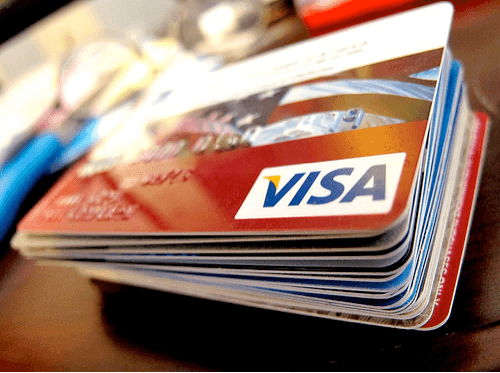 If you have low use on your credit cards, there’s nothing to stop you from taking out all of the available cash, effectively maxing out the card. It’s very easy to rationalize this kind of use because you have the option to pay it back over time. And because minimum payments are typically low, it creates the idea that you pay the card back with the minimum amount owed until you’re profitable and can pay more. But what if you don’t become profitable in your projected time frame? Can you handle carrying such an enormous debt until you start seeing larger profits? If the answer is maybe, think twice about using credit cards for funding. Credit cards rarely come with a low-interest rate, especially for cash advances. Even though a 24% APR means 2% interest gets charged to the balance every month, that’s a lot of money if the card is at maximum use. This tends to build up over time, causing the balance to climb higher and higher. It becomes tough to dig out of this kind of debt after a while. Because startups tend to burn through cash in the early months or first year, the money owed piles up quickly. You may not have a business credit card because your business is too new. Instead, you use your personal cards to fund the business. This is never a good idea because of how it affects your personal credit score. If you take out the entire line of credit to fund your startup, your credit score drops because of what is known as your utilization rate. Too high of balance on your credit cards sends a flag to the credit bureaus that you might be intending to default. Your credit score drops as a result, and you may need that score to help you with a personal matter shortly. If your business is selling a product, avoid funding with a credit card. A high-risk merchant account means you can increase your sales quickly, without ruining your personal credit score, and create cash flow that you can put right back into the business.